What sets VinylBilt Windows & Doors Apart from the Competition? Why is it that, when it comes time to select a window and door manufacturer, you prefer one company over another? With all the choices available on the market, what sets VinylBilt apart from the competition? Vinylbilt works hard every day to win the hearts of their customers. That’s why, today, they’ve decided to share a list of the main factors that set VinylBilt products apart from the competition. At Vinylbilt, our promise of offering you quality products didn’t come overnight. For the past 40 years, we have made it a point to offer our customers a wide variety of windows and doors known for their indisputable quality. And we are proud of our success. Good energy efficient products allow you to save money on an ongoing basis. 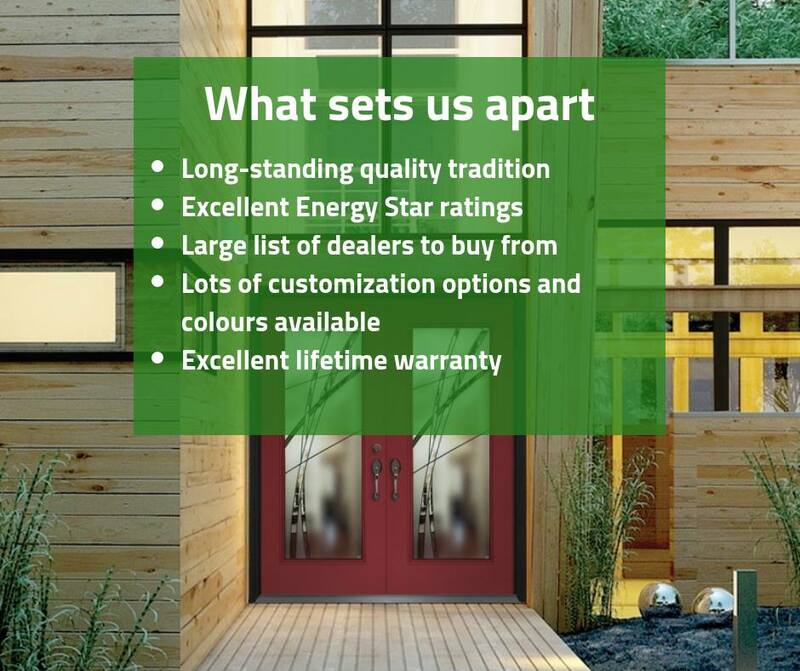 That’s why Vinylbilt offers you windows and doors recognized by the Energy Star Canada program. At Vinylbilt, we believe that a memorable customer experience comes as a result of product customization. That’s why we offer our customers the option to personalize their windows and doors in a variety of ways. Purchasing new windows and doors can be a major investment. At Vinylbilt, we strive to make the process a smooth one, ensuring peace of mind. That’s why we offer you a lifetime warranty on our products, providing you worry-free enjoyment of your windows and doors.